Education for generations of people in Troon has been transformed following the completion of a comprehensive modernisation programme. 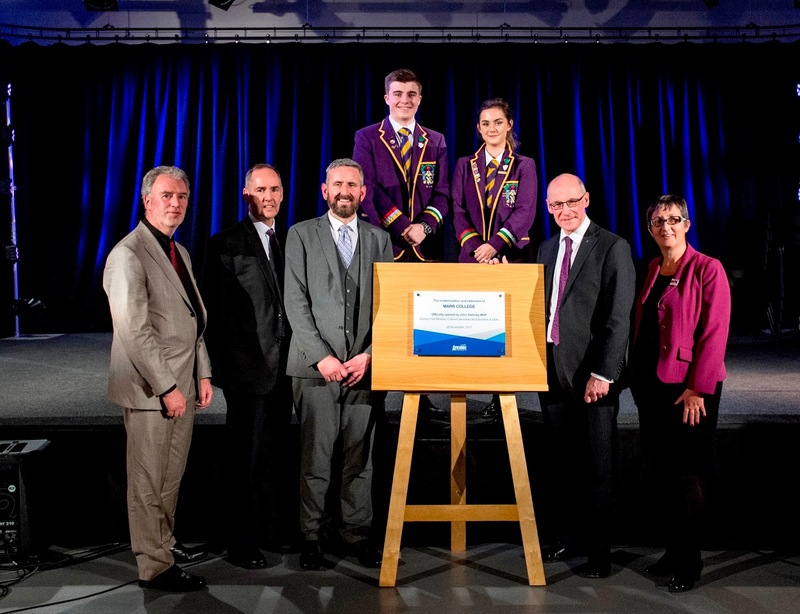 The Council’s ambitious project to breathe new life into Marr College was marked at an official opening on Wednesday 29 November, with young people and parents among the 240 guests. John Swinney, Deputy First Minister and Cabinet Secretary for Education and Skills, said; “This is a truly fantastic school which showcases exactly what we hope to achieve through our £1.8bn Schools for the Future programme – modern, state of the art schools that allow our pupils and teachers to thrive and engage with learning in different ways. Councillor Douglas Campbell, Leader of South Ayrshire Council said the project would leave a lasting legacy. “Marr College has been a fixture in Troon for more than 80 years and our ambitious programme has enhanced the best of the building’s period features, while completely transforming parts of the estate. “While young people and staff have been living in close quarters with our contractor in the last couple of years, the end result speaks for itself and the new look school’s already proving to be a big hit with young people. Douglas Hutchison, South Ayrshire Council’s Director of Educational Services said the new look building had already made a positive impact. “Through consultation with the people of Troon we have returned Marr College to its former glory. “The creative blend of the old school, sitting alongside state of the art facilities, has combined to make this an award-winning building. The Marr College modernisation recently won ‘Project of the year’ at the Education Buildings Scotland Awards, which celebrate excellence and achievement in the design and innovation of educational buildings across Scotland.